Marriott Will Have An Influential Friend In Senator Mitt Romney (R- Utah) — U.S. - Cuba Trade and Economic Council, Inc. Given the decades-long relationship between The Honorable Mitt Romney, United States Senator-elect (R- Utah), who will be assume office on 1 January 2019 and be sworn-in on 3 January 2019, and Bethesda, Maryland-based Marriott International (2017 revenues exceeded US$23 billion), likely that Senator Romney will maintain an interest in the activities of the company; and the company may seek his assistance. Specifically, Senator Romney and his staff would reasonably be expected to assist (guide) Marriott International if there are issues in maintaining existing operations and/or preventing disruption to future operations in the Republic of Cuba. According to media reporting, Senator-elect Romney has an interest in serving as a member of the United States Senate Committee on Commerce, Science, and Transportation; United States Senate Committee on Finance, and United States Senate Committee Foreign Relations. Each committee would have direct or tangential jurisdiction of Republic of Cuba-related matters. Issues that may impact Marriott International would be within the purview of the Office of Foreign Assets Control (OFAC) of the United States Department of the Treasury, Bureau of Industry and Security (BIS) of the United States Department of Commerce, and Office of the Legal Adviser (OLA) at the United States Department of State as the Trump Administration continues to seek means to disrupt activities by United States companies and entities affiliated with the Revolutionary Armed Forces of the Republic of Cuba (FAR). “Last week, Mitt Romney was elected to represent the state of Utah in the United States Senate; now, the Marriott International Inc. board member is resigned from his role with the hotel company, citing an inability to “commit sufficient time and attention to Marriott and its shareholders. In the wake of Romney’s departure, the company has decided to reduce the size of its board from 14 members down to 13. Romney, who is a former presidential nominee for the Republican party and also a former governor of the commonwealth of Massachusetts, has been balancing his commitments in the political arena with his work with Marriott for many years. In fact, his history with Marriott goes back some time. Romney first served as Marriott’s director from 1993 to 2002. This is also not the first time he has left his role with Marriott for public service, doing so back in 2002 after Massachusetts elected him as its governor. He returned to Marriott from 2009 to 2011, before leaving to run for president, and subsequently rejoining the hotel company’s board back in 2012. Note: Unknown if Senator-elect Romney and/or his immediate family has retained or divested any shareholding in Marriott International. “Mitt Romney is running to represent the people of Utah in the U.S. Senate. He was the 2012 Republican nominee for President of the United States. He was also a candidate for the 2008 Republican presidential nomination and served as the Governor of the Commonwealth of Massachusetts from 2003 through 2007. Romney was the co-founder of Bain Capital, a leading investment company, and the turnaround CEO of Bain & Company, an international management consulting firm. 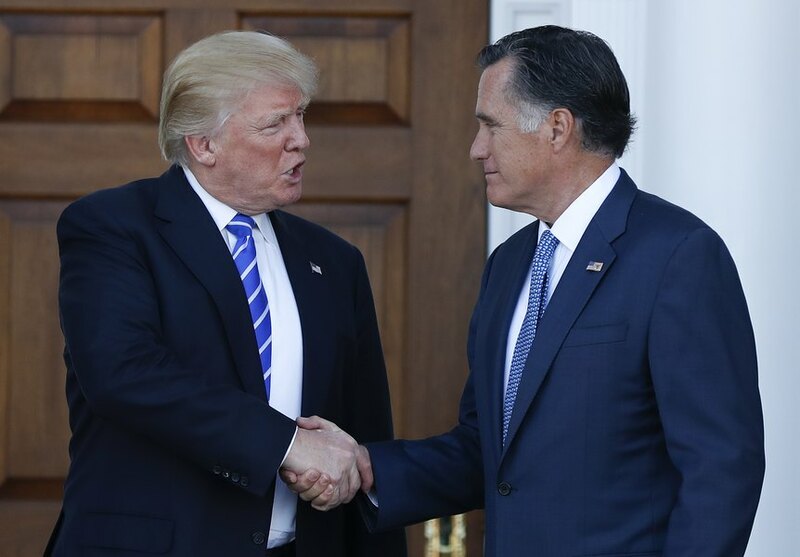 Romney currently serves in both corporate and charitable organizations including Marriott International, Solamere Capital, CharityVision of Salt Lake City and the Ann Romney Center for Neurologic Research. Since 2016, Marriott International (initially through Stamford, Connecticut-based Starwood Hotels and Resorts Worldwide LLC which was acquired by Marriott International in 2016) has managed the 186-room Four Points By Sheraton Havana in the Republic of Cuba. The property is owned by Republic of Cuba government-operated Gaviota which is a subsidiary of the Enterprise Administration Group (GAESA) which is controlled by the FAR. GAESA has a substantial role throughout the economy of the Republic of Cuba with a specific focus upon hospitality, transportation and infrastructure. In March 2016, Marriott International reported that the company would manage the 83-room Hotel Inglaterra, also owned by Gaviota. Subsequently, the company reported that the property would be under management in December 2017 and then in December 2019. No reason(s) have been provided for the thirty-six (36) month delay. The Hotel Inglaterra will be amongst the company's 122-property The Luxury Collection. On 16 March 2016, the company reported signing a Letter of Intent to manage a third property, the 27-room Hotel Santa Isabel, also owned by Gaviota. There has been no mention of the property by the company since the 16 March 2016 announcement. Due to the acquisition of Starwood Hotels and Resorts Worldwide, Marriott International gained control of certified claims in the Republic of Cuba.